Summer golf leagues and Golf Medallions by Newline go hand in hand. Recognize for best short game, longest drive or longest put with one of our gold, silver or bronze Golf Medalllions. All custom medals include engraving and choice of ribbon color. 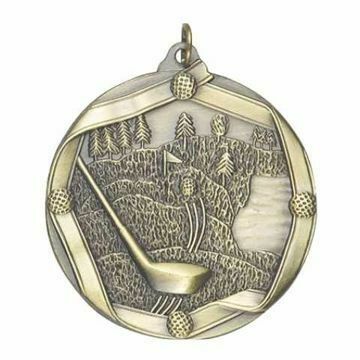 Golf Medals are made of solid metal, include neck ribbon and engraved with your personal message to recognize personal golf bests.